Like many of us I stared riding bikes when I was a kid. Thank goodness I have continued throughout my adult life. On this page I will be posting rides I have gone on. My hope is that the videos will not be to boring. This blog is just a place I can share another hobby that I enjoy. I tried a old route but this time on the Vortex. This time I got lost HAHAHA. It has been difficult getting on the trike because of schedule and weather. But I did get on a 20 mile ride this passed Sunday. Here is a short video shot with the IPhone. I finally made my goal of 20 miles. Doing 20 miles on the trike is a lot easier than the upright. 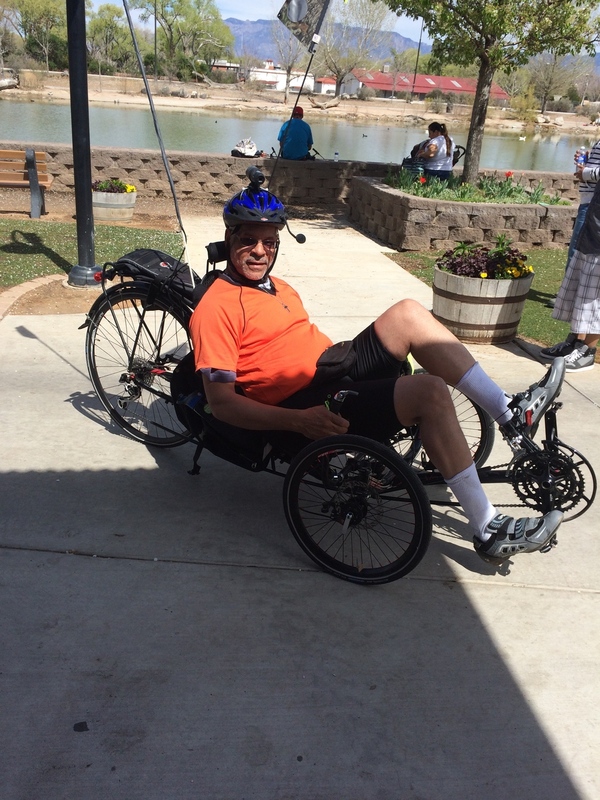 Doing 20 miles on the upright would take me three days to recover but on the Recumbent I just get a good nigh sleep and ready to go the next day. Below is that 20 mile ride. The below video is my last ride and it was fun seeing so many on the trail. Riding then got a low tire. Some nice guys stopped to help me.